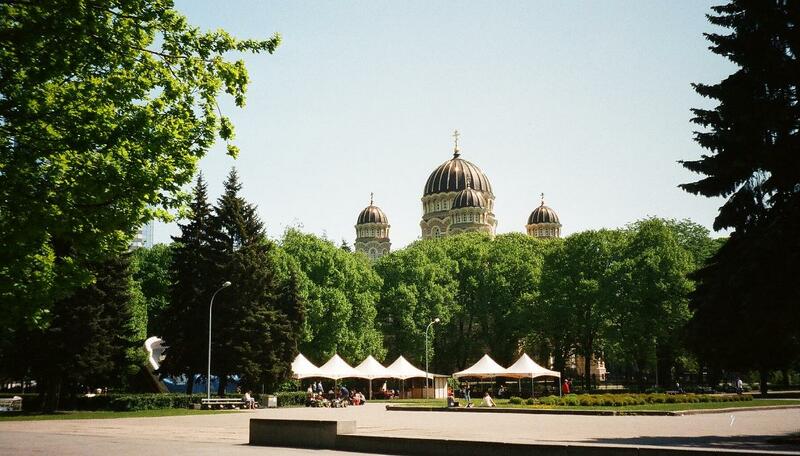 It’s difficult to know where to start when considering the delights of Riga, but one of the first things that strikes a visitor is the sheer amount of green space in the city. 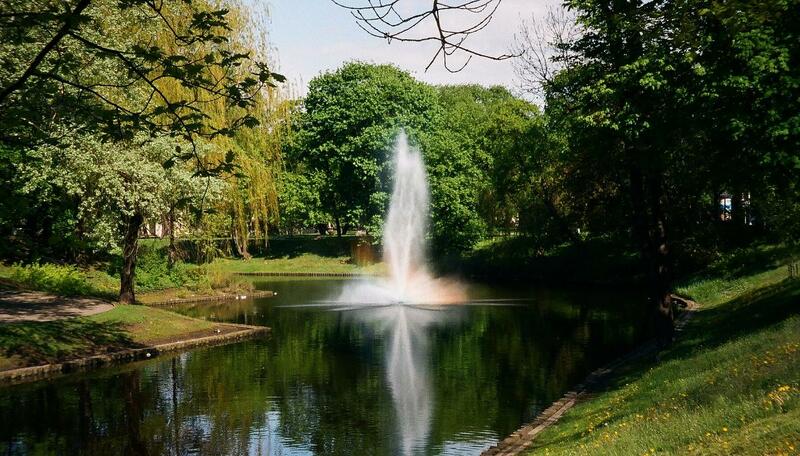 Most capitals have their parks – London has plenty, for example – but perhaps the effect is intensified by the fact that Riga is not a huge place. There is green space everywhere and at the heart of it is Bastejkalns (Bastion Hill), with its lovely park and winding Pilsetas Canal. Like most of Riga, the park is beautifully kept and free of rubbish and it’s delightful to stroll around or take a rest. The park also houses the unmistakable and defiant Freedom Monument, known locally as ‘Milda’. In front of the monument is the equally distinctive Laima Clock, erected in 1924 so that people wouldn’t be late for work. For fans of Art Nouveau, Riga is a must. Most of these buildings were built for private rather than public use and the majority are in the Old Town. The is even an Art Nouveau Museum, appropriately situated in the former house of the architect Konstantīns Pēkšēns, who was responsible for many of the hundreds of Art Nouveau buildings in the city. It is largely because of the quantity and quality of the architecture that the centre of Riga was designated as a UN World Heritage site. 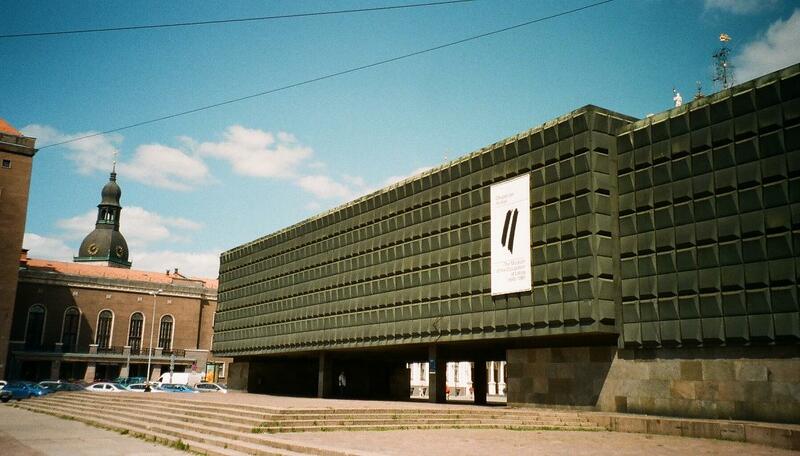 There is an intense irony in that Riga’s ugliest building is the site of the Museum of the Occupation. This truly horrible building appears to have been designed by a Soviet architect who needed to dispose of a job lot of large grey Lego bricks. The museum itself is a moving and disturbing memorial to a people who were occupied by the Nazis during the Second World War and the Soviet Union thereafter. There seems to be a constant debate about the use of the building, but somehow it seems an apposite location. A far more pleasing building comes in the shape of the neo-Byzantine Orthodox Cathedral. It’s a distinctive sight, with its typically Orthodox onion domes standing out across the city. It has been substantially restored after being turned into a planetarium during the Soviet era. 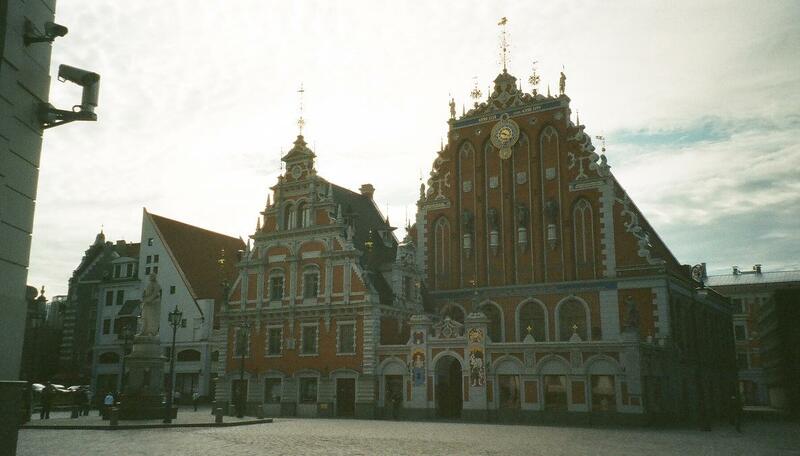 There are also Lutheran and Catholic cathedrals in Riga. The Lutheran version is especially with its tall tower and the building features on postcards and many a pretty little biscuit or sweet tin. It’s also the largest church in the Baltic region. By the bank of the Daugara River sits the much renovated and rebuilt Riga Castle. Sadly, it is having to undergo yet more restoration work as a result of a recent fire. This means that the excellent National History Museum is presently closed. It’s also worth noting that the National Art Museum is undergoing rebuilding as well. Thankfully, Riga is not short of museums and galleries, so there should be enough to keep even the most enthusiastic culture fiend happy. At the quirkier end of the museum spectrum, the Latvian Railway History Museum is not just for the trainspotters. It’s a nicely put together collection of all things railway and is a treasure trove for the social historian. The museum is on the left bank of the river across the Stone Bridge. Near to the museum is the new National Library, a curious white pyramid of a building. A visit to the Baltic would not be complete without garlic and Riga has the wonderful Ķiploku Krogs restaurant. Every dish contains garlic and that includes the desserts. It’s also a great place to have a drink and a nice option is to have a garlic tapas washed down with some dark Latvian beer. One drawback, admittedly, is that the experience means your breath is likely to be able to fell an elephant at 100 metres, but luckily elephants are extremely scarce in Latvia. Happily, breweries are not scarce and Latvia retains a decent number of independent and micro-breweries. There is also a reasonable variety of beers, from lightweight lagers to dark lagers, bocks and Baltic porters. Some breweries are owned by groups, though this doesn’t always have to be a bad thing. The Lacplesis brewery, for example, is owned by a large Danish group, but the beers are unpasteurised and of a good quality. Piebalgas, an independent brewery, is also worth looking out for. They produce a very tasty dark lager. There’s no shortage of places to stop for a drink. It’s a little more expensive to sit in a bar in the main square, but it’s fun to linger for an hour or two and watch the array of performers, chancers, locals and visitors that pass before you. A beer in one of the many park bars will be cheaper and it always feels very civilised to be able to sit around with a glass of beer at half past ten in the evening in a public park. It seems almost inconceivable that you can indulge in this way in the UK. No doubt, after a few minutes, drunken imbeciles would start brawling and causing mayhem. On that rather depressing note, Riga has become something of a magnet for the retards who feel the need to drink themselves into near oblivion and make live miserable for everybody within about a mile’s radius. These are, of course, the stag weekenders. Cheap flights and cheap beer are not only appealing to the more civilised end of humanity, so if you’re looking for three or four days in Riga, avoiding a weekend might be a decent idea. That said, normal people have no desire to rush into the nearest faux-English pub or McDonald’s and your average retard is unlikely to disturb your museum visit, but it’s harder to avoid idiots in a small city. Despite the occasional influx from the brain dead, Riga remains one of Europe’s more charming cities and is worth visiting at any time of year. For the sheer magnificence of its buildings and the peaceful beauty of its parks, Riga is, perhaps, Europe’s most attractive capital. This entry was tagged Baltic, Latvia, Riga. Bookmark the permalink.